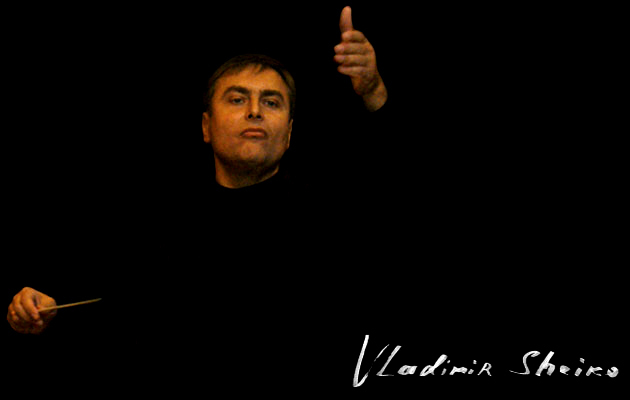 Vladimir Sheiko’s art activity is widely represented in the records of video and audio formats. Under Vladimir Sheiko’s supervision, the Ukrainian Radio Symphony Orchestra carried out more than 100 records of world and Ukrainian music masterpieces. Vladimir Sheiko is actively cooperating with national TV channels: «1 National Channel», «TV Culture», «City», «KDTRK». Some of the presentational video-records of pieces of different styles and genres, performed by Ukrainian Radio Symphony Orchestra under supervision of Vladimir Sheiko, are presented in section “Video”. Audio records, both in .mp3 format and in better quality WAVE format (.wav 44,1 KHz), are presented in the section “Audio”. On internet you can find complete list of audio and video records. This list is constantly updated.